Unfortunately, there is no such thing as a maintenance-free swimming pool. In fact, with the Florida climate, they need to be looked after on a weekly basis. Don't spend all your time pool cleaning and repairing your pool. Instead, call on G & J Pool Repairs, LLC for all your repair needs and G & J Perfect Pools, LLC to keep it clear, clean, and properly maintained. 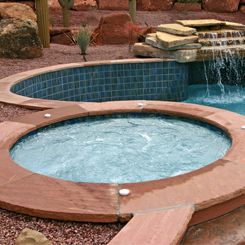 We ensure your pool is the inviting oasis it's meant to be. G & J Pool Repairs, LLC and G & J Perfect Pools, LLC are family-owned-and-operated businesses in Sarasota, Florida. We got started in 2010 with a small pool route and, after much success, have expanded across Sarasota County. When it comes to your pool, nobody knows how to maintain it better than us. Our technicians are thoroughly trained to meet the standards set by manufacturers, as well as the standards we set for service. This commitment to excellence is what distinguishes us from the competition. We always make sure customers are happy with our work. Education is extremely important to us. Our team stays updated on the latest legislation and newest technology, allowing us to make informed, safe choices about pool repairs and products. We are also members of The Florida Swimming Pool Association (FSPA). Contact us to learn more.